For Nora: I have a pair of identical sconces with a rust finish, both in excellent condition, that I'd like appraised. 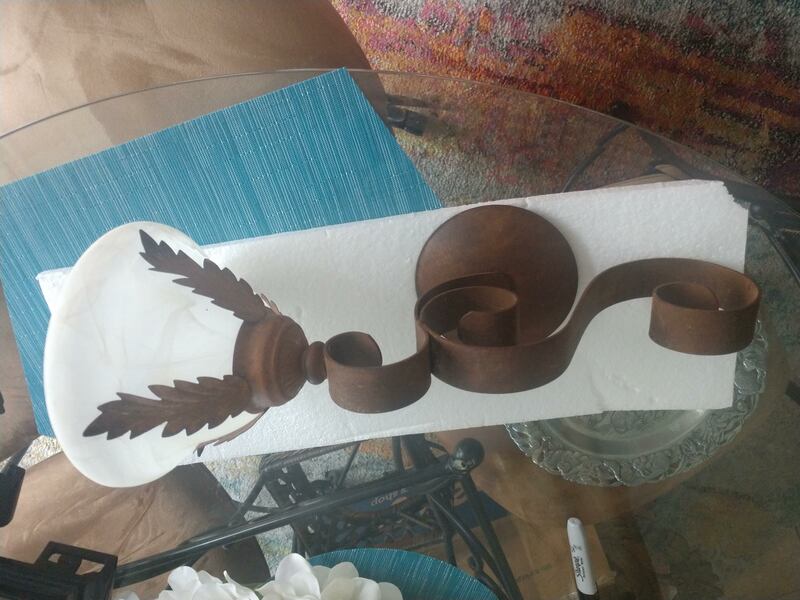 They are designed to hang from a hook and are for candles. Thanks! These are fairly contemporary, late 20th century, about 1990's, iron and smoked glass up-shade wall sconces for candles. High value is $70 - $100 for the pair together on today's market. Thanks so much for another positive rating here. Please feel free to request me again by name any time! Can you give me some info a set of 11”high candle sticks. I have three vintage items I'd like to have appraised.